September 4, 2018 Colorado Rockies selected the contract of RHP DJ Johnson from Albuquerque Isotopes. March 29, 2018 RHP D.J. Johnson assigned to Albuquerque Isotopes from Hartford Yard Goats. February 26, 2018 RHP D.J. Johnson roster status changed by Colorado Rockies. October 4, 2017 RHP D.J. Johnson assigned to Caneros de los Mochis. April 3, 2017 RHP D.J. Johnson assigned to Hartford Yard Goats from Albuquerque Isotopes. March 17, 2017 RHP D.J. Johnson assigned to Colorado Rockies. November 19, 2016 RHP D.J. Johnson assigned to Albuquerque Isotopes. November 18, 2016 Colorado Rockies signed free agent RHP D.J. Johnson to a minor league contract. November 7, 2016 RHP D.J. Johnson elected free agency. April 6, 2016 D.J. Johnson assigned to Arkansas Travelers from Salt Lake Bees. March 9, 2016 RHP D.J. Johnson assigned to Los Angeles Angels. December 10, 2015 Salt Lake Bees claimed RHP D.J. Johnson off waivers from Jacksonville Suns. December 2, 2015 RHP D.J. Johnson assigned to Jacksonville Suns. November 24, 2015 Miami Marlins signed free agent RHP D.J. Johnson to a minor league contract. November 7, 2015 RHP D.J. Johnson elected free agency. June 30, 2015 RHP D.J. Johnson assigned to Chattanooga Lookouts from Fort Myers Miracle. June 12, 2015 RHP D.J. Johnson assigned to Fort Myers Miracle from Chattanooga Lookouts. April 9, 2015 RHP D.J. Johnson assigned to Chattanooga Lookouts. March 18, 2015 RHP D.J. Johnson assigned to Minnesota Twins. July 29, 2014 RHP D.J. Johnson assigned to Fort Myers Miracle. July 28, 2014 Minnesota Twins signed free agent RHP D.J. Johnson to a minor league contract. October 18, 2013 Visalia Rawhide released RHP D.J. Johnson. September 18, 2013 Visalia Rawhide activated RHP D.J. Johnson from the 7-day disabled list. April 4, 2013 Visalia Rawhide placed RHP D.J. Johnson on the 7-day disabled list. September 21, 2012 Visalia Rawhide activated RHP D.J. Johnson from the 7-day disabled list. August 19, 2012 Visalia Rawhide placed RHP D.J. Johnson on the 7-day disabled list. June 13, 2012 RHP D.J. Johnson assigned to Visalia Rawhide from South Bend Silver Hawks. April 2, 2012 D.J. Johnson assigned to South Bend Silver Hawks from Missoula Osprey. July 6, 2011 D.J. Johnson assigned to Missoula Osprey from Arizona Diamondbacks. July 5, 2011 Arizona Diamondbacks signed free agent RHP D.J. Johnson to a minor league contract. April 20, 2011 GCL Rays released RHP D.J. Johnson. June 26, 2010 RHP D.J. Johnson assigned to GCL Rays from Tampa Bay Rays. June 25, 2010 D.J. Johnson assigned to GCL Rays from Tampa Bay Rays. 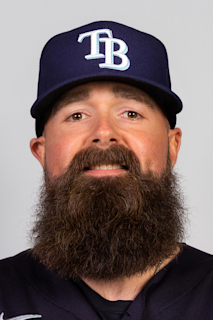 June 24, 2010 Tampa Bay Rays signed free agent RHP D.J. Johnson to a minor league contract.